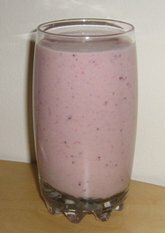 If you want to learn how to make smoothies it is quite simple. Start with healthy ingredients...add in fresh fruit, and blend. Ice cold drinks are a shock on the digestive system so avoid adding ice and defrost your fruit first if it is frozen. Use plain yogurt as most fruit-sweetened yogurt is extremely high in sugar. The varieties are endless. The best protein shake is a perfect alternative for kids who usually fill up on highly sweetened breakfast cereals, and whose diet is high in carbohydrates. Enjoy slowly as it is a meal in itself. This is a good breakfast option for someone on the run and a perfect recovery drink for athletes after a workout.